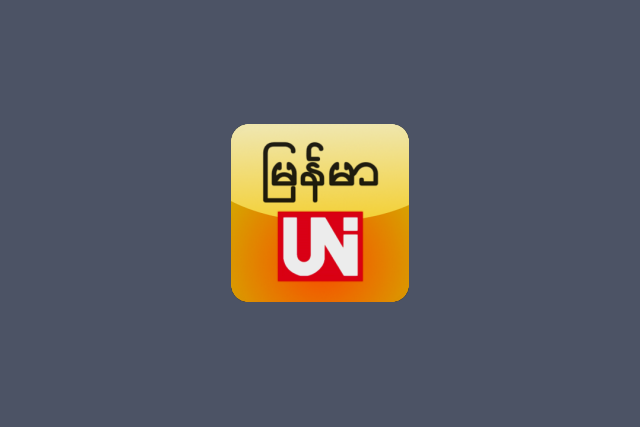 Previous android version 4.4 or higher, although Enabling Myanmar Unicode Area under the android version 4.4 to use Unicode 4.0 is configured so that the above processing. Use the M3 Keyboard Settings and add special functions are available. Previous traditional grammar and its Unicode fonts that can be easily changed to Unicode Converter application is installed once on the cell phone. But before that you want to change the font or its Unicode fonts, select a point to make you a copy converter will automatically open. This converter service if they wish to open/close in the M3 Keyboard Settings can be done under the Advanced Functions 0. Another feature is that by using the M3 Keyboard in its handwriting (Myanmar) to be able to beat. Double-tap system is also available. Click shift without having to press the shift characters will appear both in the double touch. For example, Beth shift + B, 2 Ba will appear. But a mistake in typing often are prepared automatically. Currently, Shan, Mon, ဝျ Sanskrit / Pali, Kayah, Karen will be used for inclusion in the upcoming version. You’re ready to change the keyboard designs. flat theme color of the background of the users from the keyboard to be used with any color. Setting clear syntax with key tone, vibrate, converter, typing method, keyboard height, key preview, font embed, keyboard language can be easily controlled. can be used in landscape mode, no matter the size. Easy to use, and make other changes.